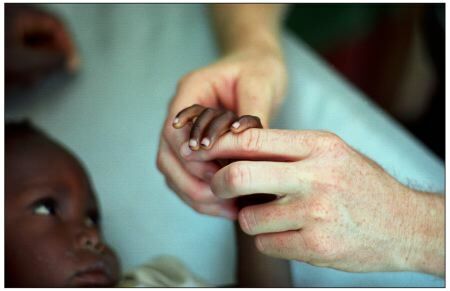 - An aid worker holds the hand of an orphaned baby who is HIV positive. - Un membre d'une ONG tient la main d'un bébé orphelin. L'enfant a contracté l'infection VHI.